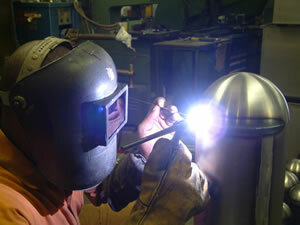 We undertake all types of welding including mig, tig, arc, spot and gas welding. 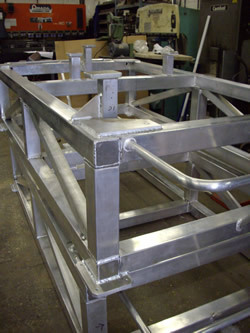 Our welding section offers 2 dedicated fully equipped welding bays. 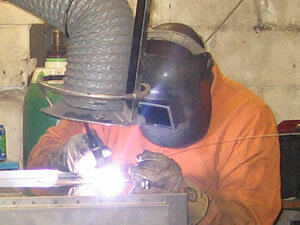 We also have facilities for cylindrical welding. 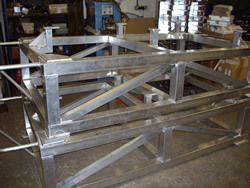 We have years of experience in the welding and finishing of stainless steel for applications such as commercial catering, medical equipment, food processing, water treatment and marine applications. 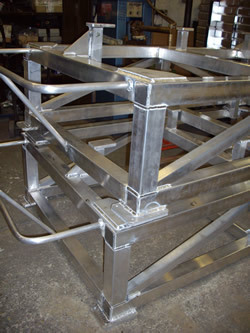 Both thin gauge sheet metal and thicker plate, upto 10mm can be welded. 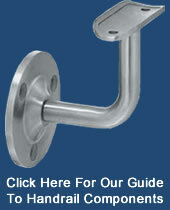 Our highly skilled engineers have access a full range of electrodes as well as filler rods. Tig welding is carried out on most gauges of aluminium, especially thin sheet, however, mig welding is often used for thicker heavier gauge material. We hold a wide range of filler rod and realed wire for most alloys and always ensure the correct filler is used when working with more exotic materials such as aerospace or hardend material. Where appropriate tack welding or full jigging is undertaken before full welds are made in order to ensure the highest degrees of precision. 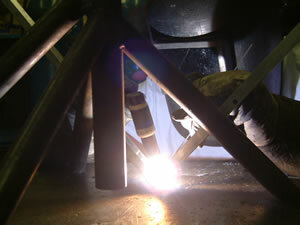 Copper can be welded with either Tig or brazed. 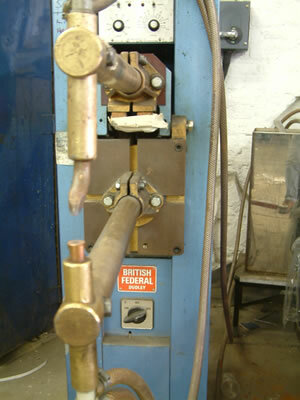 Brazing can be undertaken, mainly of cast iron to either cast iron or steel. Copper and bronze can also be brazed. Soldering of precision assemblies such as electrical connections, and simple electronic assemblies can be carried out. 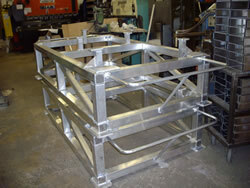 Below are a number of images of aluminium lifting jigs used for aircraft parts.